We need an amendment because no matter what we come up with, the out-of-touch Supreme Court is standing in our way. Most Americans understand that there is too much money in politics. 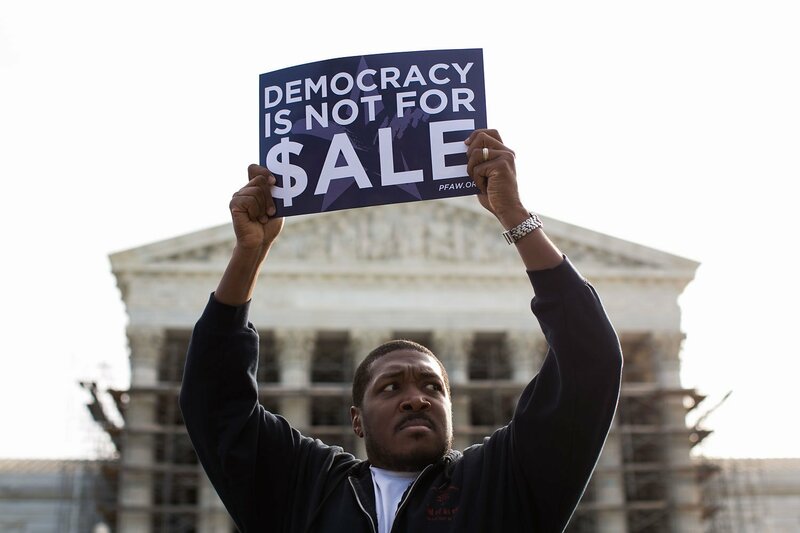 Polls show that a vast majority of Americans want to reform our campaign finance system and support a constitutional amendment to overturn Citizens United—the case that allowed corporations and unions to spend unlimited amounts of money to influence elections. But there is an even more important reason to support an amendment than just to overturn Citizens United: to give good ideas a chance. As Mark Joseph Stern wrote in Slate late last year, even our best ideas for getting big money out of politics may be vulnerable to nine unelected judges. As Stern describes, Seattle passed a Democracy Voucher Program in 2015 to give individuals a greater voice in the political system. Essentially, every voters receives four $25 vouchers they can contribute to qualified candidates. By making candidates less reliant on big donors, the system may weaken big money’s grip. More importantly, by giving voters another way to support their preferred candidates, the Voucher Program encourages critical civic engagement. That is, if the courts don’t decide it’s unconstitutional. Given the Supreme Court’s recent holding in Janus v. AFSCME, it’s possible that Seattle’s new program will be deemed in violation of the First Amendment. The Supreme Court has struck down publicly financing systems before, notably in Arizona Free Enterprise Club PAC v. Bennett. There is little reason to have faith that the Court will look kindly upon other campaign finance reforms like Seattle’s program. And that’s exactly why we need a constitutional amendment to get big money out of politics rather than a series of innovative policy ideas. Don’t get me wrong, vouch programs, public financing systems, and other ways to make political candidates less dependent on corporations, unions, and ultra-wealthy individuals are wonderful. But none of them will do much good if they are struck down by a court. If we truly want to ensure that our campaign finance system can get back on track, a constitutional amendment that shifts power back from the Supreme Court to Congress, state legislatures, and voters is the only way to guarantee that our good ideas have a chance.